The Trump administration has released their recommendations for the federal budget for Fiscal Year 2020 which begins October 1, 2019. The Constitution gives sole authority for appropriating taxpayer funds to Congress, and it is certain that the 535 elected members of the House and Senate will heavily modify the proposal. However, Mr. Trump has an unusual amount of influence on how the members of his party in Congress vote, so it may not be a complete waste of time to quickly review the Administration’s proposed budget for wildland fire to see along what lines the White House is thinking. I looked at the President’s FY 2020 recommendations for the U.S. Forest Service and the four major land management agencies in the Department of the Interior — National Park Service, Bureau of Land Management, Fish and Wildlife Service, and Bureau of Indian Affairs — with the numbers for the DOI agencies lumped. I compared the proposed numbers with the FY 2018 budget. There was no approved budget for this year, FY 2019. Instead, the agencies had to make do with a series of continuing resolutions that basically maintained the same amounts as in FY 2018. The charts below are from the information released by the Administration (at the links above). President’s FY 2020 proposed budget for the U.S. Forest Service. Previous budget recommendations from the Administration broke it down in detail, listing the numbers of firefighters, engines, dozers, hot shot crews, and aircraft that would be funded. This latest document does not have that level of detail. There is not much change in Preparedness, the category that covers existing firefighting capability and funds all base-8 salary costs for firefighters. It remains the same in the DOI, and the FS would see a 5 percent increase. For the Suppression category, actually putting out or managing fires, the rules will change in FY 2020. 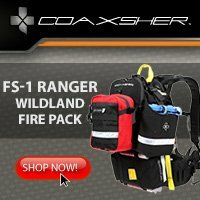 The Consolidated Appropriations Act of 2018 kicks in and provides new budget authority to fight wildfires, known as the “fire fix.” Beginning in FY 2020 and through FY 2028, the Forest Service and the Department of the Interior will have new budget authority available when standard fire Suppression funding has been exhausted in a busy fire year. This starts with an additional $2.25 billion in FY 2020 and increases by $100 million each year through FY 2027. These additional funds are to be allocated to both the FS and the DOI as needed. This adds some budget stability and should help mitigate the “fire borrowing” problem, where unrelated programs see their funds moved over to fire Suppression. 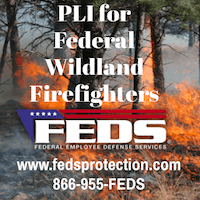 President’s FY 2020 proposed budget for wildland firefighting in the Department of the Interior. Science and research would take a big hit under the President’s recommendation, with Forest Service Research being cut by 14 percent while the Joint Fire Science Program (JFSP) would be completely unfunded. Shuttering the JFSP has been talked about for a couple of years, with the administration saying the funds would be moved over to general Research — which is being reduced. The Hazardous Fuels allocations in the DOI and FS would both see a modest 5 percent increase, which may seem surprisingly small since the President has ranted several times about “cleaning up the forests” in California. The combined rates of inflation in 2017 and 2018 were 4.5 percent. Funds allocated for building or improving Fire Facilities in the DOI would be reduced from $18 million to zero. Outside Magazine breaks down the total budget proposal for the National Park Service. Washington Commissioner of Public Lands Hilary Franz unveiled on October 10 the largest budget request of its kind in state history: a $55 million Department of Natural Resources proposal for fighting wildfires and maintaining healthier forests in Washington. The 2019-21 budget package, which already has bipartisan support from members of the Legislature’s Wildfire Caucus, would transform DNR’s firefighting strategy and reduce that hazards that unhealthy forests pose to Washington communities. This year, DNR responded to about 1,700 wildfires – second only to the number of wildfire responses in 2009. Smoke from this year’s fires at times gave Washington the worst air quality in the world, and numerous fires forced families to evacuate their homes. Washington Commissioner of Public Lands Hilary Franz speaks about her budget request October 10, 2018 at the Department of Natural Resources helicopter maintenance hangar in Olympia, Washington. The biennium budget request includes nearly $12 million to transform 30 seasonal engine Captain jobs into year-round permanent positions. This would help retain seasoned firefighters at DNR and provide a staff to carry out critical forest health treatments, such as prescribed burning, during the offseason. The vast majority of DNR’s firefighting force is seasonal (only 43 firefighters work full time), prompting many firefighters to take their skills elsewhere. The agency’s firefighters would also receive more training to deal with increasingly complex wildfire seasons under the commissioner’s budget plan, to the tune of $2.2 million in the 2019-21 biennium. 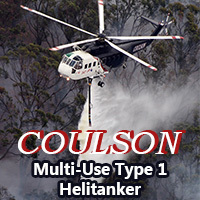 They would receive two additional helicopters – increasing their helicopter fleet to nine and helping them respond more rapidly to fires. 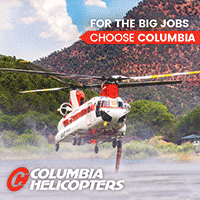 Additionally, more than $4.8 million would grow the firefighting force supplied by Washington’s prison system – from 300 to 380 workers – allowing incarcerated people to learn firefighting and forestry skills while reducing the state’s firefighting costs. The budget also would provide $100,000 to improve emergency communications and $234,200 to help assess landslide risk in areas affected by wildfire. 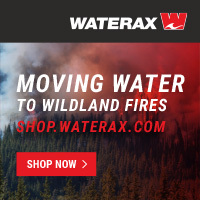 These requests support the commissioner’s Wildland Fire Protection Strategic Plan to make the fundamental changes necessary to stop and prevent uncharacteristically large wildfires. Franz made her announcement alongside state Reps. Larry Springer, D-Kirkland, and Tom Dent, R-Moses Lake, as well as Confederated Tribes of the Colville Reservation Chairman Rodney Cawston, Cowlitz 2 Fire & Rescue Chief Dave LaFave, and Matsuda. Because people cause 90 percent of all wildfires, teaching the public about wildfire prevention is another key part of the commissioner’s budget. It would invest nearly $2 million in the creation of seven public-outreach specialists scattered across the state, and it includes $4.2 million for DNR’s Landowner Assistance Program. This program helps private forestland owners reduce the wildfire threat on their lands. To get at the core of the problem, Franz’s budget request includes more than $5.7 million to speed up forest health restoration by creating a division solely committed to forest health. The proposal also asks for $17.7 million in capital budget funds to treat more than 32,000 acres of state, federal and private forests in targeted, high-risk areas. And more than $724,000 in the proposal would dedicate two employees to manage the federal contracts, finances, and grants necessary to carrying out restoration treatments on federal lands. DNR and the U.S. Forest Service work together through the Good Neighbor Authority agreement to work toward their forest health goals. The state’s top wildfire fighting boss standing next to a fire boss looking like a boss.